Not bashing Martins at all. They make some fine guitars, but I just sold the last of the few Martins I had. Paired down to just two acoustics and ended keeping my J45 Standard and an Advanced Jumbo. I play the J45 99% of the time and it's just the one I reach for 99% of the time. I had a D-35 that almost gave the J45 a run for it's money. It was a beautiful sounding guitar, huge, rich, warm and clear sound, but not as versatile as the J45, and in some cases a little too powerful, but man did that D-35 sound good! Also had a 70's D-28 that I gave the works to before selling it (neck reset, refret, a couple loose back braces glued) and a '14 Custom Shop small body 12-fretter. Just never bonded with Martins like I did with my two Gibsons. The only Martin guitar I really do like and could see myself getting again would be a (relatively inexpensive) 000-15M. Martin really hit the nail on the head with that guitar. They sound amazing and won't break the bank, but for now it's just the J45 and AJ. Well done with the Gibson keepers. D18s are nice Martins now days. Well those are fine choices. Of course, we always keep both. Here a couple of images from my good and bad twin series from last spring. These are guitars which would have been competitors when new. Simple ain't bad. I feel ya. I will not be selling my D18! I've played several D'18's, including a really nice D-18 Authentic that a guy brought by when he was trying out my D-35. Sounds crazy but I'd still take my J45 Standard (that's been somewhat "heavily" modified" over that D-18 Authentic. I played a D18 Authentic at McCabes a year back. It was nice. But I remember thinking I liked my guitars better. Gibson acoustics - the majority- and Martins are both in my collection. All Martins are dreadnoughts with rosewood bodies. Love the sound and the power of them and playing Neil Young, Hank Williams and Bob Dylan songs on it, even try to learn some Bluegrass licks. Anyhow I will keep them. Maybe a time will come when you cannot buy rosewood guitars, so I will take care for them. 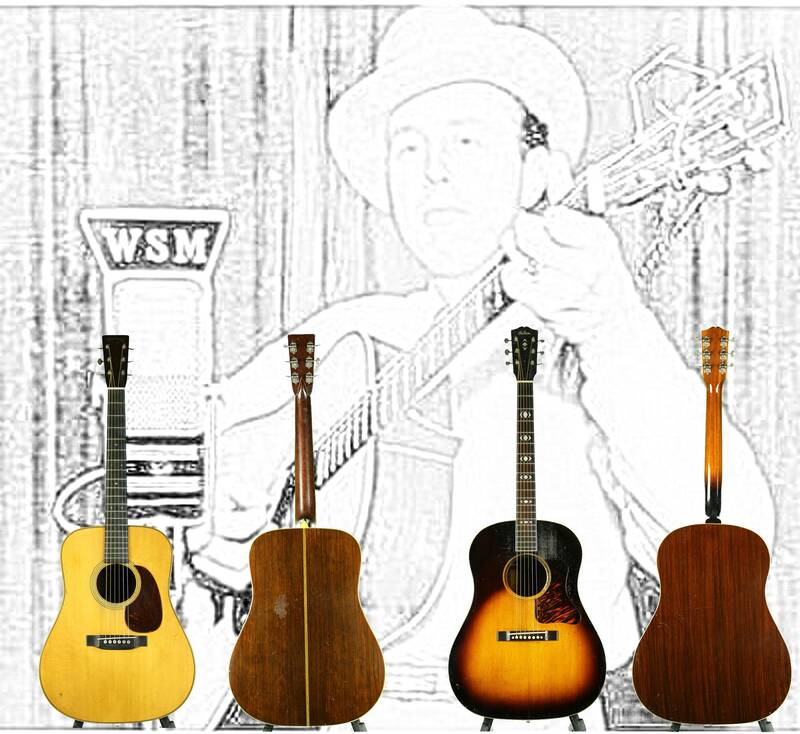 And a Gibson and a Martin sound good togerher - for example for some Nashville Skyline Dylan stuff. The 15 series is the best thing Martin has done lately. I have a 98 00-15 that’s a definite keeper. I don't own any Martin or Gibson acoustics but, I have played lots of both. The Martins sound great and are loud but, are bears to play. The Gibsons are very balanced and are fairly loud and, most importantly, play like Gibsons. If I had the money, I'd go Gibson... an SJ- 200! If I had lots of money, I'd buy a Collings... by far the best acoustics I've played. They're loud, they sound wonderful, and play like buttah. Blue Ridge's high end guitars are also very nice. That's my opinion and I'm sticking with it! They're loud, they sound wonderful, and play like buttah. Now there's one of those blanket statements that cannot be applied across the board to any makers' line. Internet gobble-di-goop if I ever heard it. I've played my share of Martins that are so easy to play (my D-35 was so easy to play and had a huge voice), and I've played Gibsons that feel more like a wrestling match and sound like garbage. Goes both ways. I've owned two SJ-200's. One was amazing, the other seriously was a joke and sounded god awful. I'm not a fan of Collings. So what's my point here? You can't lump every brand into a category of automatically being dogs or amazing because it's all a matter of personal opinion. The guy who bought that SJ200 that I couldn't wait to get rid of absolutely loved it. Who am I to say he's wrong? I didnt start this thread to bash Martins, which is why I started the thread by saying that they're fine instruments. Have fun and don't let the door hit you. You can set up any of them to play how you want -- may involve neck pitch, frets, fretboard, nut, saddle, etc., but it is just geometry except for the neck profile. Martin always delivered with high actions so setups are easy -- everything gets shaped and lowered, but not replaced. Low actions require more extensive work to adjust to higher actions. What matters is the sound -- and that can't be changed very much. I love my Gibson ........And ..........I love my Martin . Some guitars do seem to come out of the factories with better setup than others. If that particular way is to your liking. Martins tend to be a little high out of the box , but that’s because of their target audience. Like a high action. More volume . This things a cannon man !! I can over power everyone else at the meet !! Wasn’t meant to be rude. I’ve never had the pleasure of playing a Collins but I’m sure they’re fantastic guitars. I wouldn’t mind owning one. Many members here have multiple brands but don’t feel the need to put one above the other. 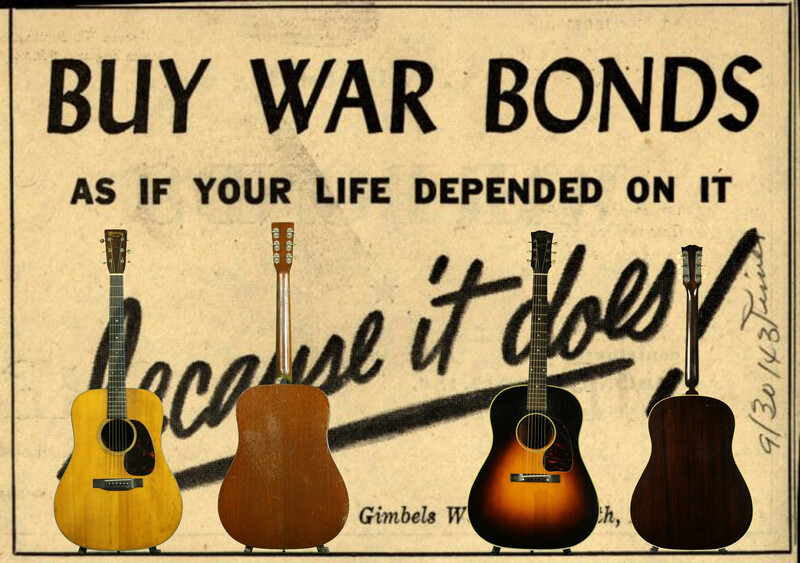 I have Gibson, Martin, Gretsch, Fender, Ovation, Taylor, Kay, Alvarez and a slew of others but I do not have the urge to go on brand label sponsored forum and spew a different brand’s superiority. Especially if I’ve never or seldom post on that forum. I like going on Gretsch Pages and talk about Gretsch. I like going on Fender and talking about my Tele. We have an open forum over in the lounge where you can talk about anything. I like that, but when you go on a specific titled forum that you do not frequent, throw out a quick one liner that you know may stir things up, I don’t think that’s right. I wish him the best and tried to guide him toward the right direction.